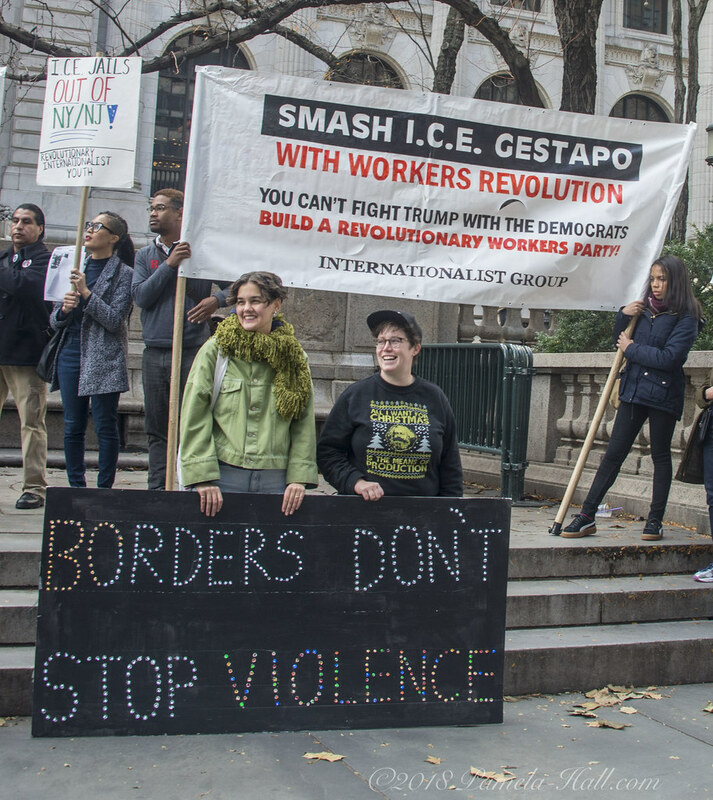 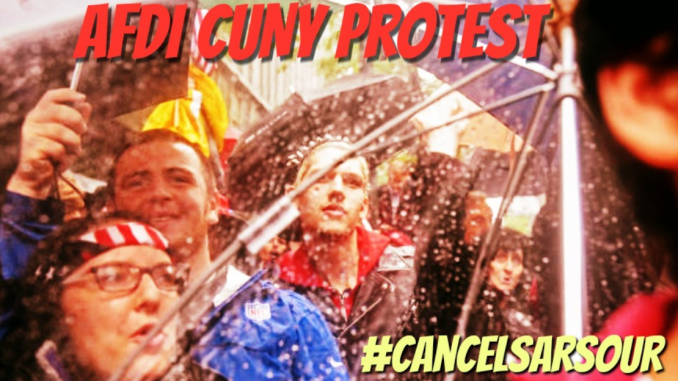 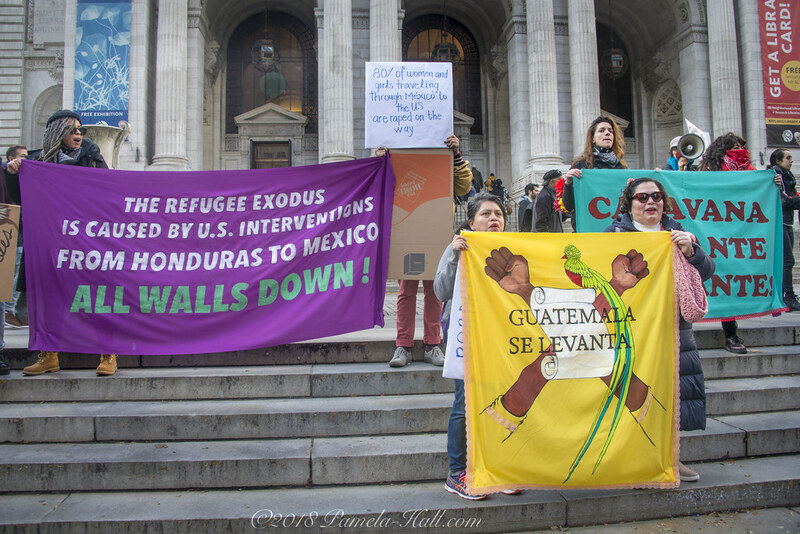 INTERNATIONAL WOMEN'S STRIKE NYC - SOCIALISTS "Stand with Caravan women"
The socialists “stand with caravan woemn”? 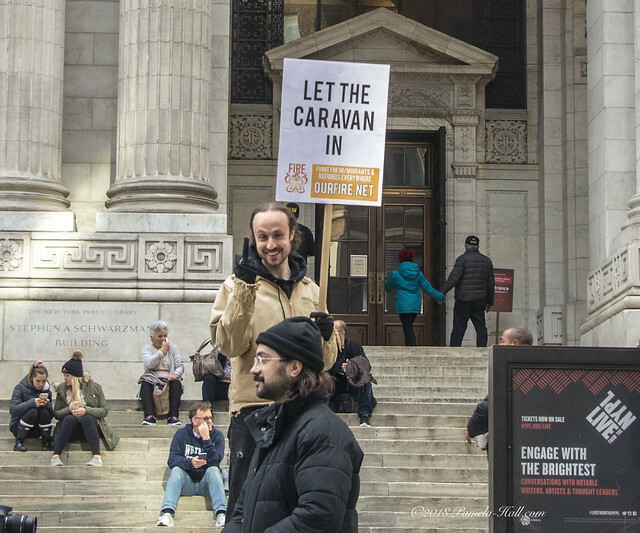 What caravan women? 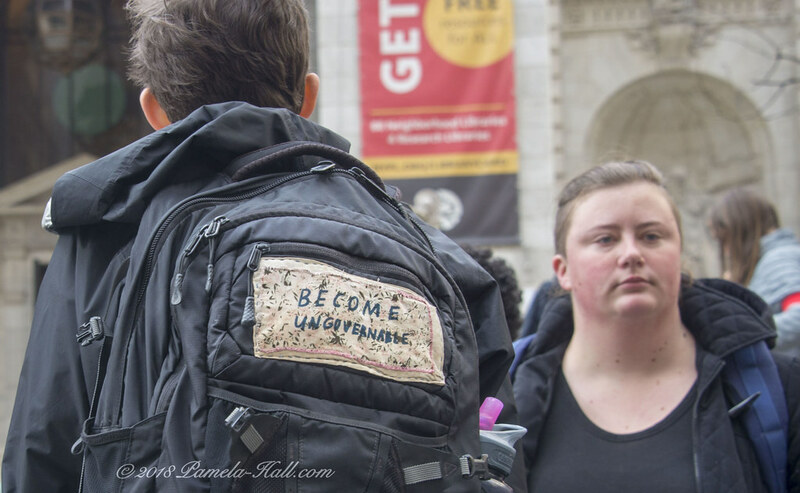 It’s mostly males – military age and fit. 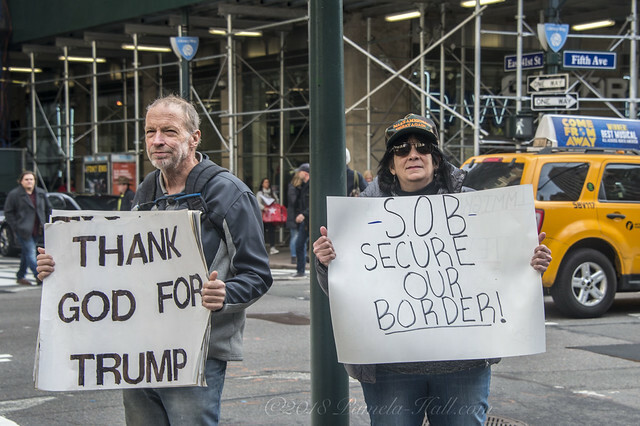 Patriots gathered in support of President Trump and LEGAL immigration. 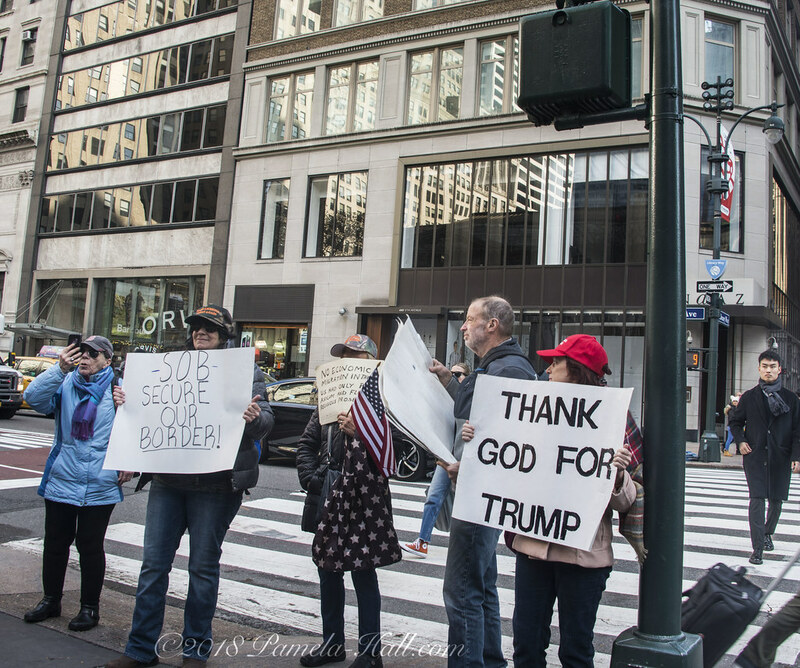 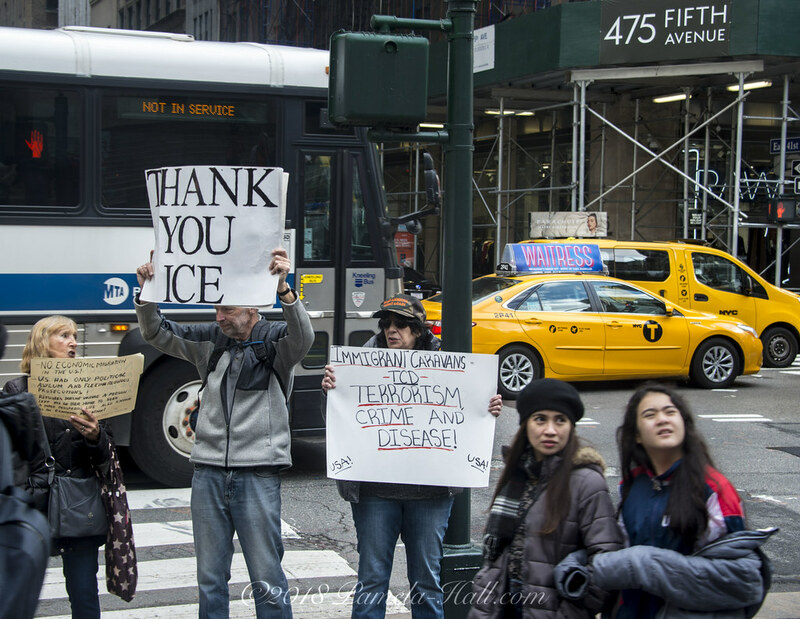 [Flickr slide show – Part 1] While waiting for socialists to arrive, New York was unique as always (see pictures). 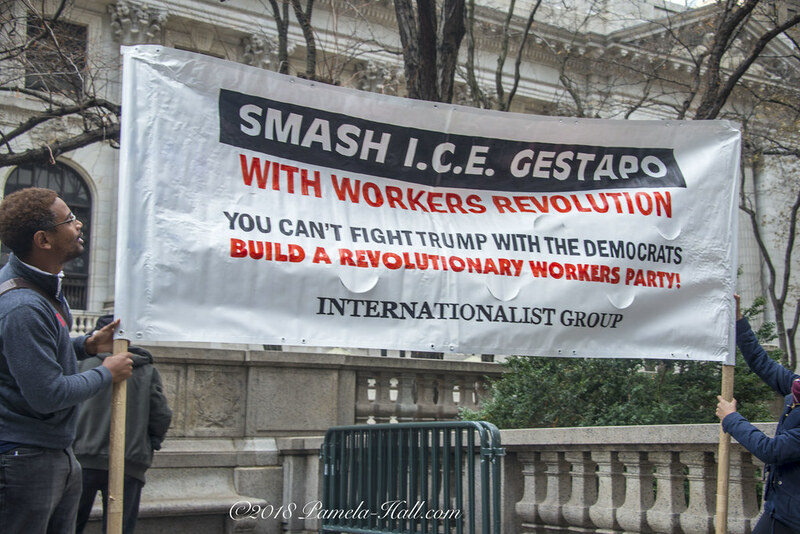 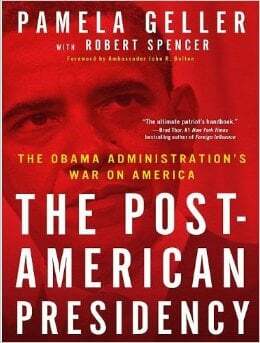 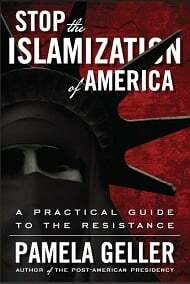 Then the patriots arrived, followed by the socialists. 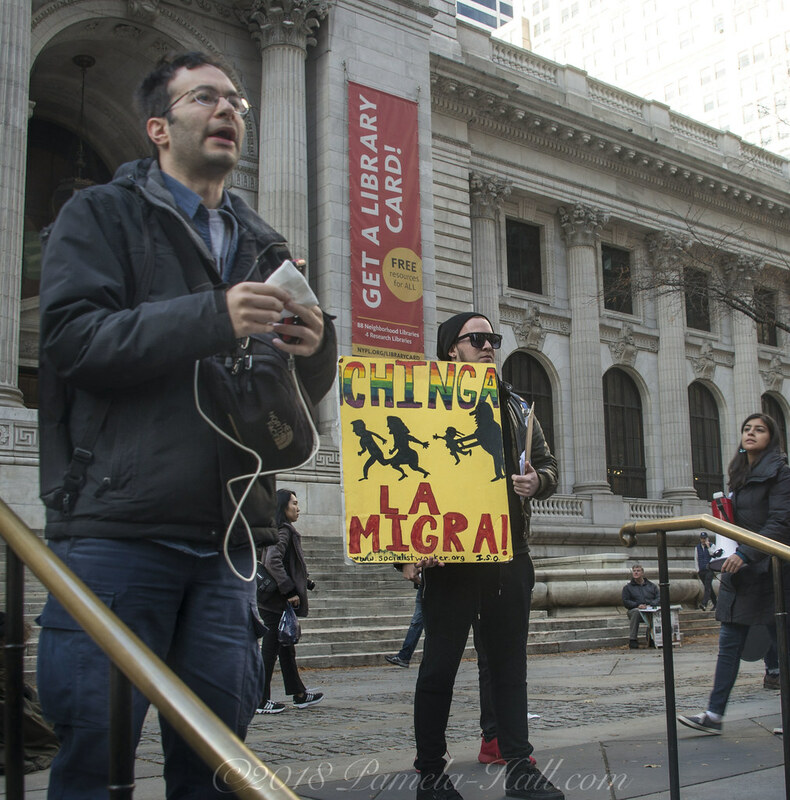 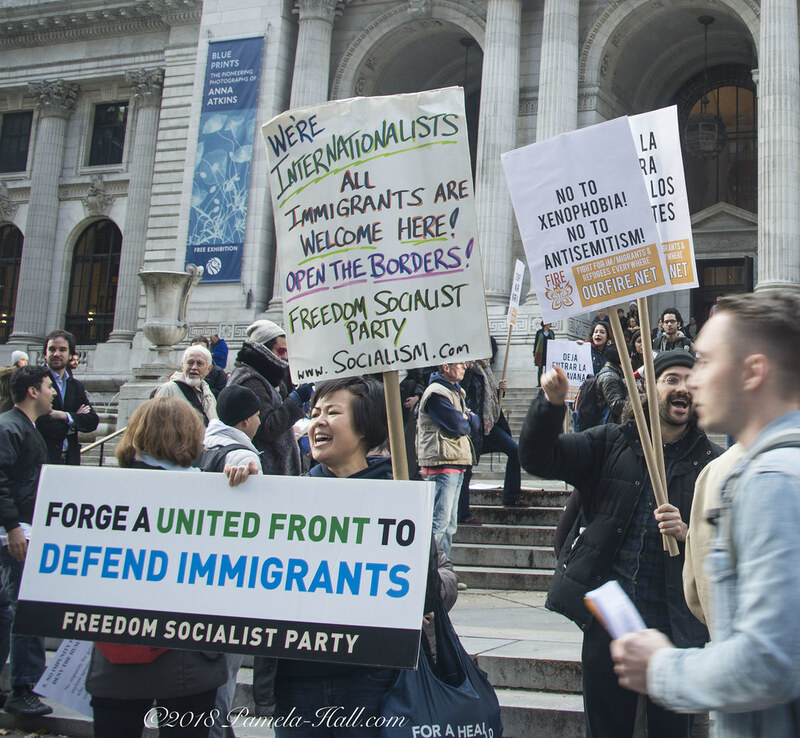 Soon the steps of the library were filled with socialists demanding: don’t be MEAN, support OPEN BORDERS. 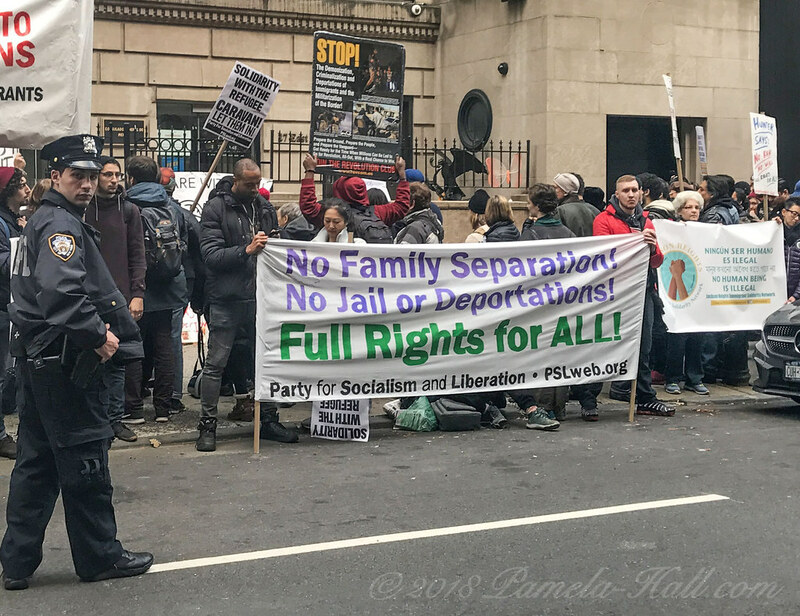 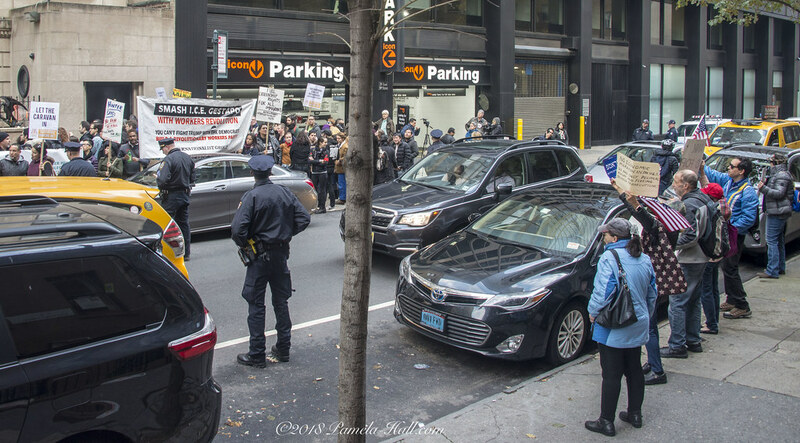 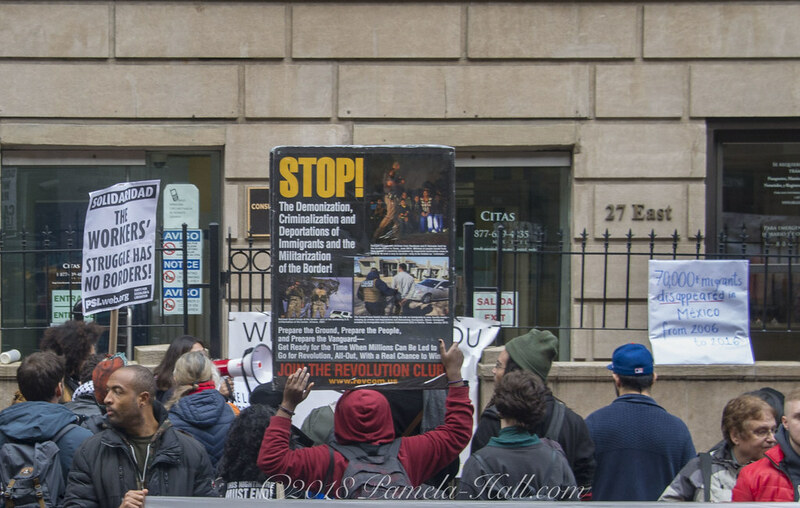 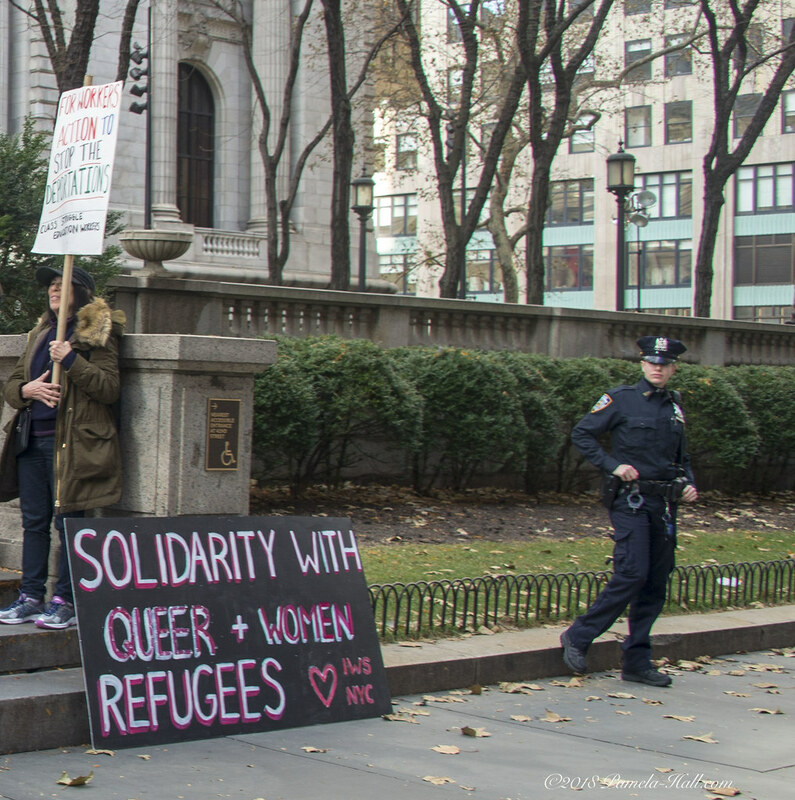 Flickr Part 2 – The socialists blocked the steps to Fifth avenue library. 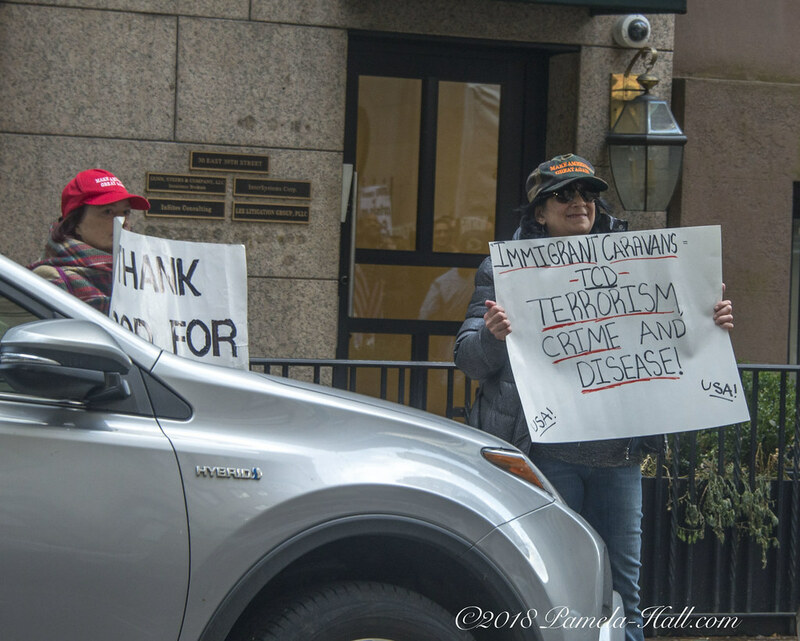 Then blocked the city sidewalks marching to Mexican consulate, and finally blocked the sidewalk at consulate, as well.